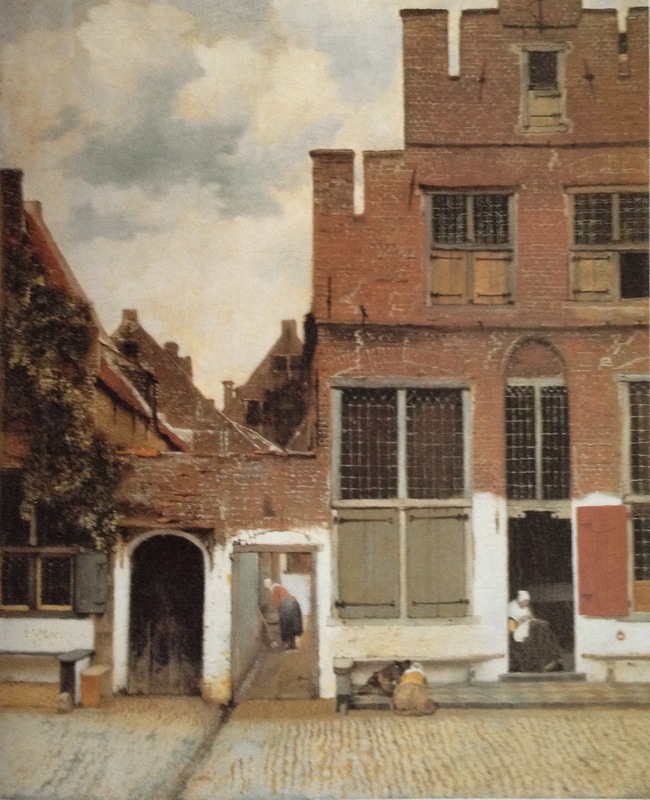 I continue a bit on Vermeer and his hometown Delft in Holland. He lived in Delft 1632-1675. The centre of this old city sends you back to his time. His own painting from the city is quite similar to the photos taken last year. His veiled emotions can be discovered in his paintings. 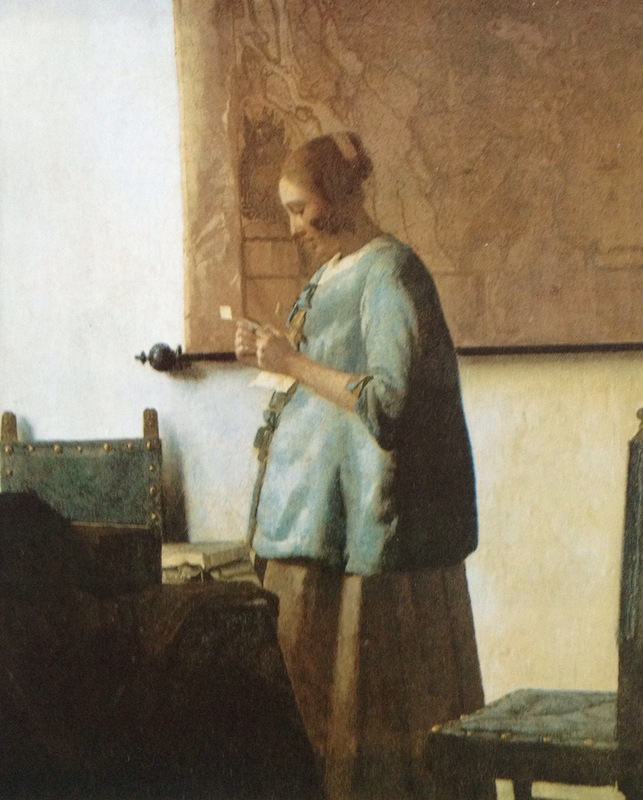 One theme is a woman reading a love letter in a room with an open window. On the bed is a plate with fruit. 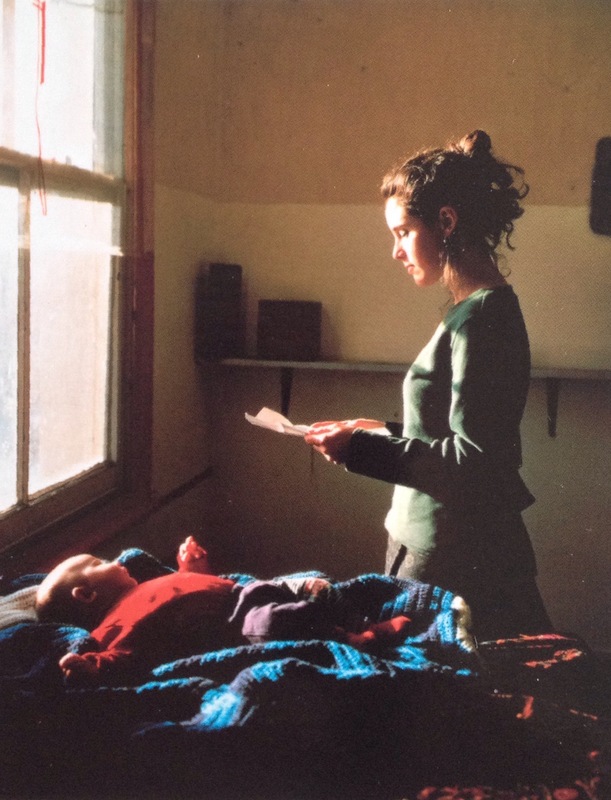 The open window is the longing out for freedom, and the fruit is Eves forbidden fruit. At the National Gallery in London, I once saw a photo made by a modern artist on the same subject. 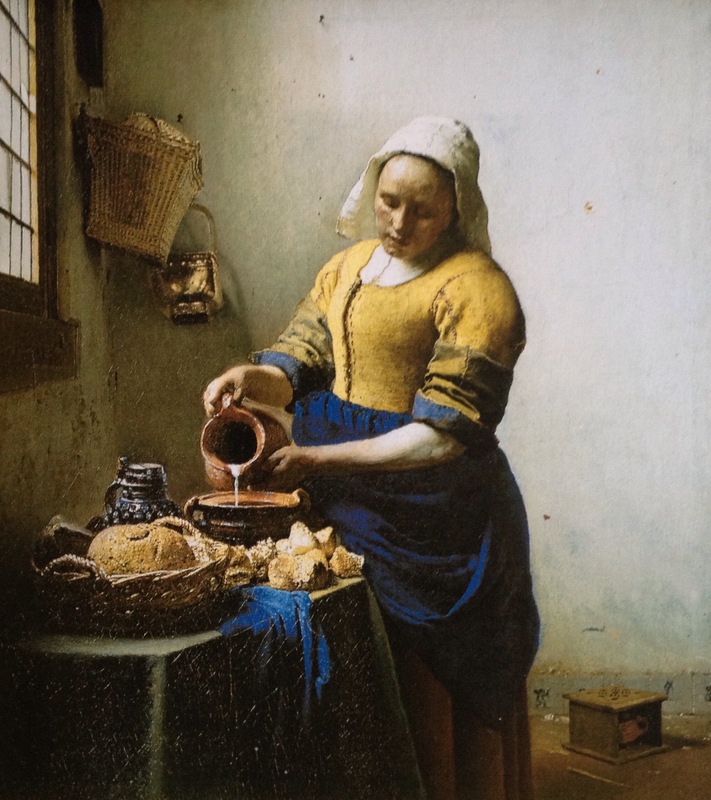 The milkmaid painting was already at Vermeer’s time the most valuable. She is shown to be as she should behave, modest and diligent. 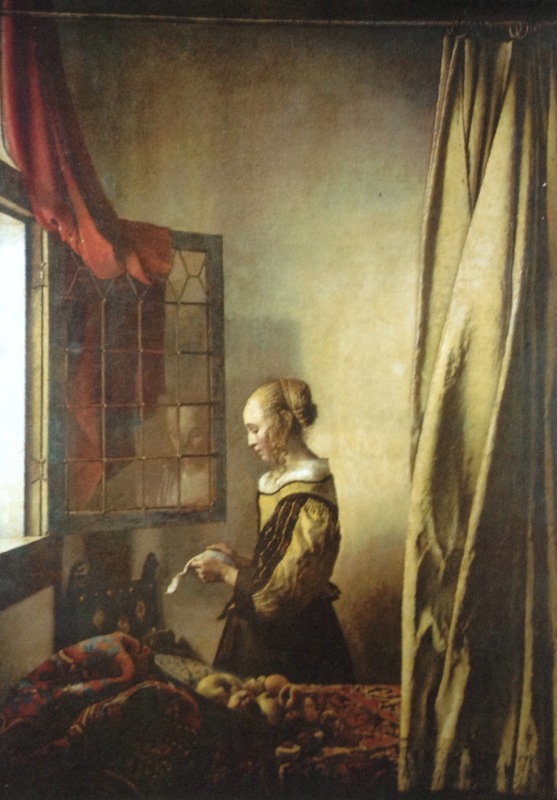 I have been inspired by the book on Vermeer 1632-1675 “Veiled Emotions” by Norbert Schneider and via my own journeys to Holland and museums where Vermeer’s paintings can be seen. The Age of Enlightenment is also clearly seen in his paintings shown by globes, maps and instruments used by scientists, astrologers and astronomer and geographers. It is such a shame he died so young! It certainly seemed a rough age to live. Wasn’t this the era that tulips became such a great product for Holland?